Iceland vows to take part in next year's Eurovision event, to be held in Israel, despite boycott petition. Iceland is slated to take part in next year’s Eurovision song contest in Israel despite a popular petition calling to boycott the event, the country’s national broadcaster said. 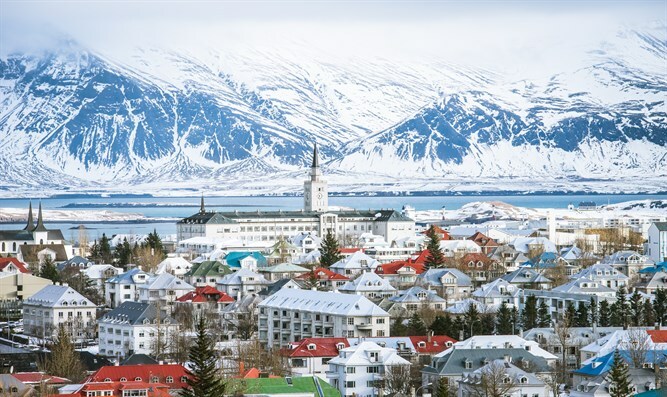 Iceland has 330,000 residents. If all the cosignatories of the Icelandic-language petition are indeed from that country, they account for 3.3 percent of its population. “In recent months, Israel has murdered dozens of people merely for protesting their situation,” reads the petition. In recent weeks, Israeli security forces shot and killed about 100 terrorists and rioters in a series of violent clashes and infiltration attempts along its border with the Hamas-run Gaza Strip. Most of the clashes happened during Hamas-organized riots with the stated intent of entering Israel’s territory. Rioters hurled hundreds of firebombs at Israel and interfered with the border fence despite warnings not to. Dozens of those killed were members of terrorist groups, according to Israel. Many countries, including Sweden, France and the United Kingdom, have accused Israel of using disproportionate force in the riots, which on Monday ended with over 60 rioters dead and thousands wounded. But the United States, Australia and other countries said Hamas was to blame for the violence and its aftermath. “In view of the human rights abuses of Israel against the Palestinian people, it is morally indefensible to engage in a glamorous even like the Eurovision,” the Icelandic petition to RÚV, which is the sponsor of the Icelandic entrant, reads. Israel won the Eurovision Saturday, making it the host of the 2019 contest. The post Iceland says it will ignore boycott petition and take part in Jerusalem Eurovision contest appeared first on Jewish Telegraphic Agency.